Shortage of bloggers in India – Are Indians Blogging shy ? I had bumped across this article in Foreign policy that mentioned the scarcity of bloggers India. I was really perplexed on reading that ! There are only 1.2 million bloggers in India, out of total 42 million Internet users. That means only 5 bloggers in 200 Internet users. That is shame, especially because the current generation of Indians do no leave any corners unturned when it comes to voicing their opinion. You can witness this by looking at sometimes aggressive and sometimes colorful comments by Indians on many blogs. 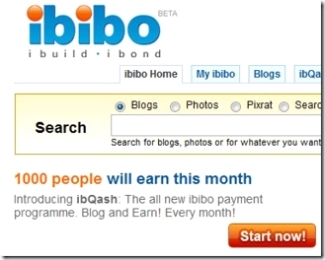 One of the India based blog hosting company has even gone to an extent of offering cash prizes for people to blog regularly, Now that is ridiculous. But maybe it works. The surprising factor here is also that most of the more than 80% (approx 34 Million) of Internet users know what is blogging and have checked blogs some time or the other. Surprisingly there are many Indian related Social Bookmarking and News aggregator sites like Digg, that have sprung up in last couple of years,I know atleast 8-10 offhand – Indianpad, Ekjut, bestofIndya, Gyanin, Indiagram, Indianbytes, humdigg, IndiaInteracts, putvote, Indiagram…phew…there must be atleast 20 more. All of them very similar to what Digg is.These sites are normally driven by bloggers, and this is one of the reasons that growth of such sites has been very slow, the other being the lack of uniqueness. I guess Indianpad is the only site that gets some amount of traffic. I should add here that I am not too sure of numbers here, If someone has come across more authentic numbers, research or surveys, let me know and I will add it here.